Where should we get a clean water in 25 years from now? In 25 years from now, we may experience a shortage of water due to increasing number of population not only in Tamparuli but in Sabah itself. There will be a lot of factory will grow like a mushroom after the rains fall. We need to think this and try to develop ways to prevent it. In Sabah we have many rivers and I think that it can support the needs of clean water to all Sabahan or even Sarawakian will get this advantages. The Tamparulian is purely depending on the " Loji Penapis Air Telibong " for water supply. This water supply is for daily routine usage. 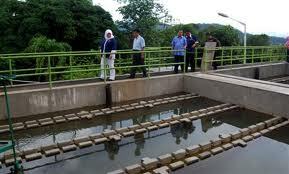 If this water supply plant is broke down or not functional well, what would happen to 20 thousand of Tamparuli citizen? surely there will be a lot of mess going to happen right? So in order to prevent this we must have plan B and off course we need from other water supply from other district and the nearest is Penampang Dam or Moyog Dam which not not completed yet. I have read a newspaper article from Daily Express about the Kaiduan Water Dam which I think is really far from Tamparuli situated in Papar but for emergency it can help the Tamparulian. I urge the Tamparulian to be prepare and off course the Tamparulian citizen have plan B because we have the so call "Air Bukit" which can save us for months unless there is a drought season. Actually I wrote this article because of the Kaiduan Dam which effect the villages in order to save hundreds of citizen who might effected with low supply of clean water. I hope the nearest villager will support the building of the water dam. Together we support the Government for our well being. As for the Tamparulian and the future generation please be prepare for a challenging world in the future. We don't know what will happen but be sure that there will be a big challenge next. I'm happy to have such a wonderful town like Tamparuli where I was born and love Sabah very much.